Dr Amelia van der Merwe has worked in the area of violence and its psychological consequences since 1999. Her research has focused on community violence, intimate partner violence, and ritual abuse and its effect on psychological outcomes. She has worked at the University of Cape Town (SA), the Policy Research Bureau (UK), the Human Sciences Research Council (SA) and the University of Stellenbosch (SA) in both research and teaching capacities. 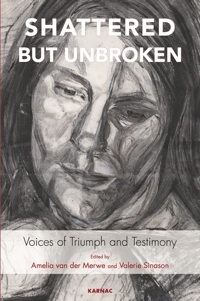 Shattered but Unbroken is her fourth book, and she has written many book chapters and journal articles on the effects of violence and abuse, particularly on child and adolescent emotional and developmental outcomes.